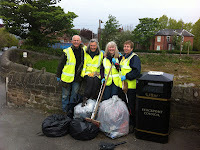 Yesterday members of the Civic Society took part in a Marple Spring Clean organised by the Business Forum. We joined four other societies in a morning of work including litter picking, painting and generally tidying up around the town. 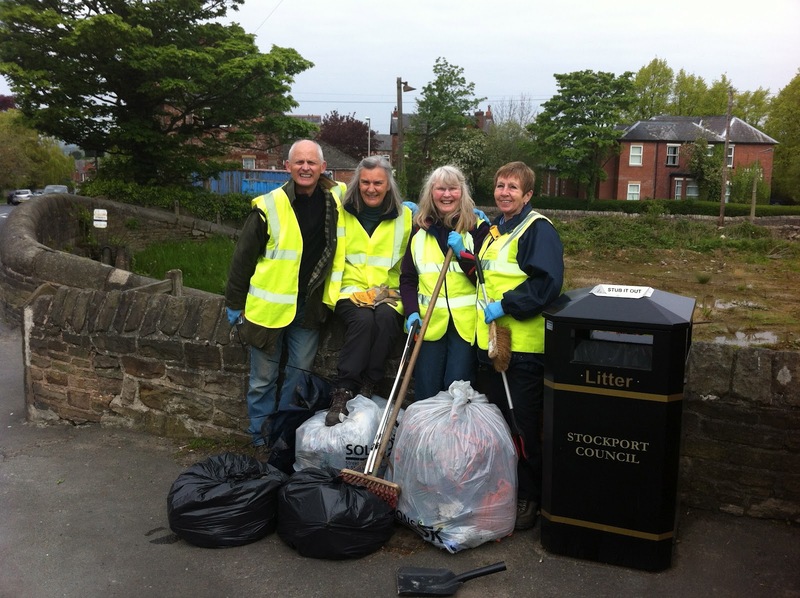 The Civic Society team concentrated on the area behind All Saints Church, the canal towpath and Marple Wharf, finishing up at All Saints Well where we were joined by our patron Andrew Stunell MP to clean out the well and repaint the nearby bench.